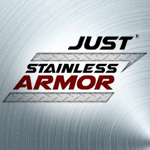 Just Manufacturing’s multi-station/multi-user stainless steel sinks are perfect for trough sinks, lavatories and handwash stations. They have been specified by some of the largest health care groups, school districts, institutions and hotel chains in the U.S.
Our comprehensive product line of multiple compartment stainless steel sinks has the depth for you to find the specified lavatories, surgical scrub stations and hand wash stations. Trough sinks are becoming popular because many people start to search big size sinks to use. 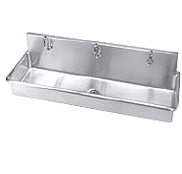 Trough sinks are commonly found in some public places, such as house production kitchen, factory, school, restaurant, etc. There are many advantages to opting for a trough sink, and they can be designed to fit practically any function you need. A great advantage to having a trough sink s that it can fulfill the purpose for those project requiring two sinks. 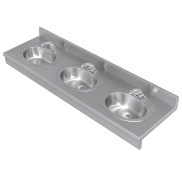 Another great advantage for a trough sink is the ideal function of it for those with messy applications. This larger size of this fixture allows for more cleanup space to ensure you will have a cleaner space after the users are all washed up. Trough sinks are also a better solution for those with multiple users who are all trying to wash hands at the same time. With the broadest product offering of sinks you can choose the exact institutional or trough sink model needed for a particular installation without sacrificing cabinet or sink sizing restrictions. And with our 80+ year track record, you can be assured that quality service and product reliability are a constant.